The video helped me a LOT through the process of choosing colors for the bracelet. 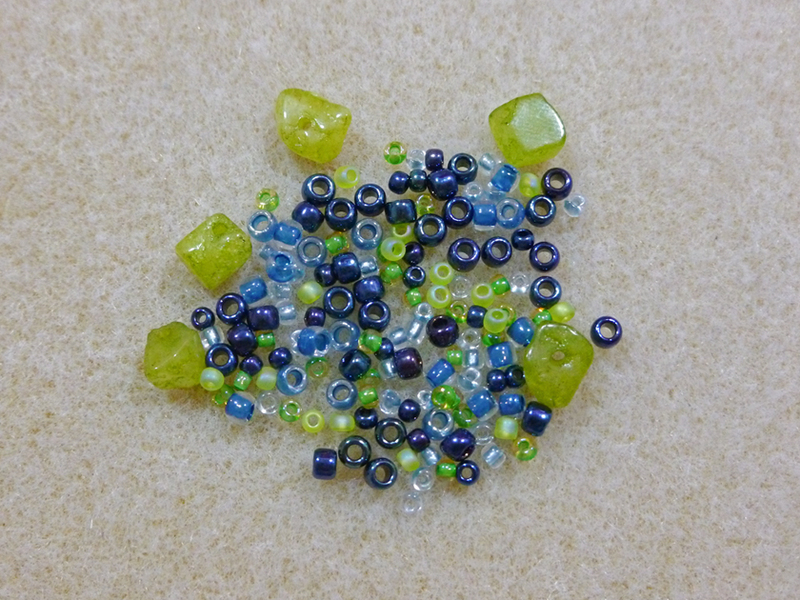 I wasn't sure how much of each color I should use to create a nice balance and I was like stringing beads on the needle to see if I like the result. 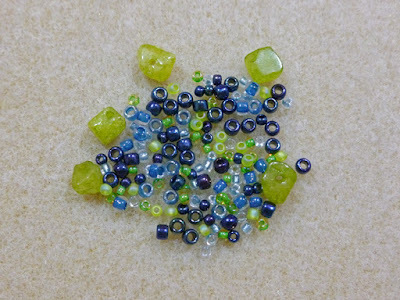 I also wasn't sure about some shades of green and blue that I picked up previously. So when I saw the video, I liked the idea of mixing beads in a pile until you have a combination of colors that pleases you. And that's what I did. And that's it! 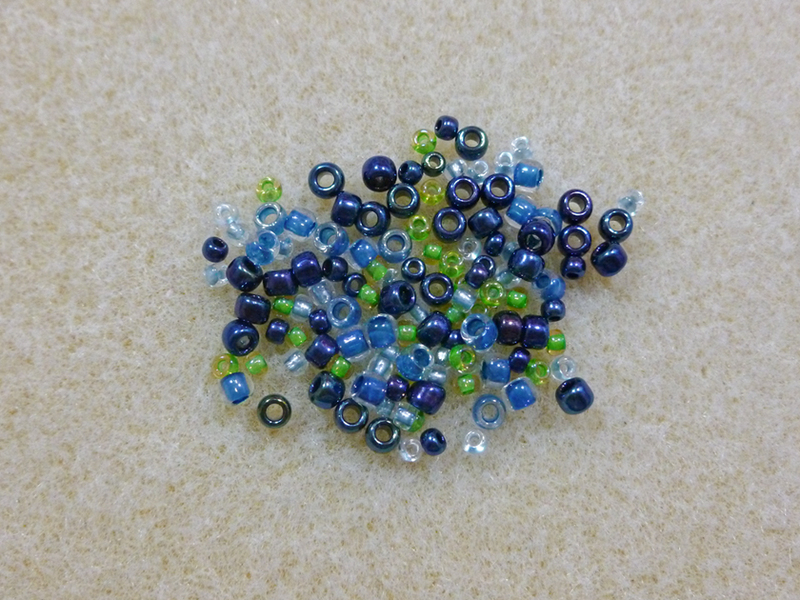 My "bead soup" was quite simple because I was limited by the pallet I chose for the beading challenge and I used only seed beads size 11/0 and 8/0 and some chips. This process is great for freeform style and stringing projects. It may be messy, especially when you have many options or aren't sure of what you want. I created a few mixes before I got the one you see in the last picture, and at the end I had to sort through all them to put the beads back in the packages. 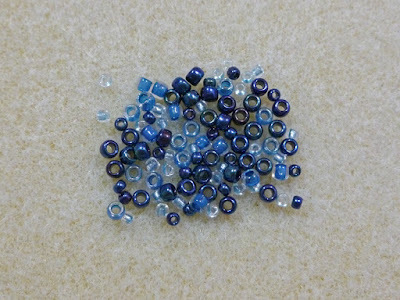 So if you're going to make a bead soup for a small project, I recommend you mixing only a few beads of each color/size/type, like I did.